1 side, 1 color, size 18×24, Blank or Custom Designed and Printed Bandit/Yard Signs. 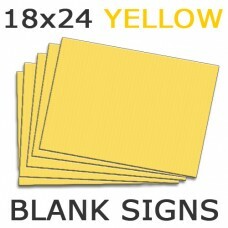 We Screen Print up to 3 colors, then you may as well have a full color sign. 1 side, 1 color, size 18×24, Blank or Custom Designed and Printed Bandit Signs aka yard signs. We Screen Print up to 3 colors on Corrugated Plastic. If you need more colors then you may as well have a full color sign. 1 color and 1 side signs are most economical custom corrugated signs available. 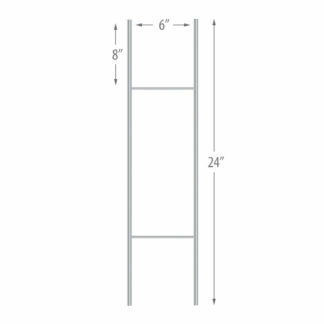 They are typically stapled to poles to save money on H-Wires. Bandit Signs are a cheap and effective marketing. Pair it up with Sign Stapler and you will be in good shape. 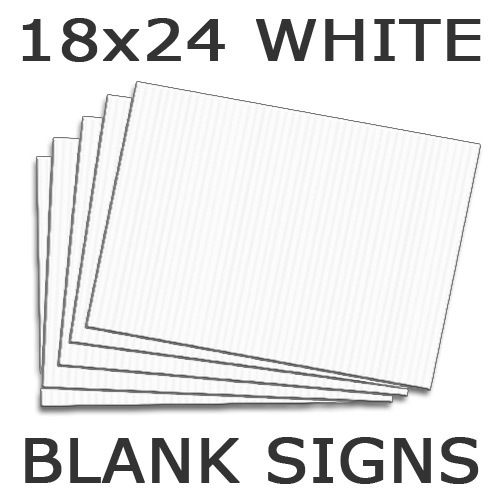 The price listed is for white blanks. 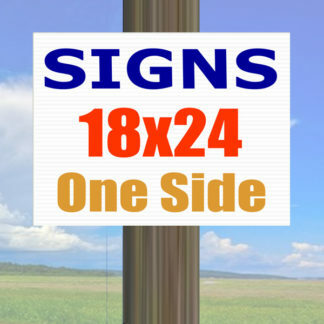 Click Add To Cart if you would like to order blanks or click Design to start designing your custom signs. Came here to order Sign Stapler and saw that signs were also offered. Compared prices and it was a no-brainer. Much cheaper than what I was paying. I’ll be ordering again.